As local favourites Tupapa Maraerenga FC have already secured their passage to the OFC Champions League Group Stage, the Tongan and Samoan champions will face each other in a winner takes all clash to grab the second available spot on offer in the next phase of the region’s premier club football competition. Winless Pago Youth from American Samoa will be playing for pride when they meet the table topping locals who will be determined to conclude the tournament with maximun points from their three matches. Due to their better goal difference Tongan hopefuls Lotoha’aapi United FC will need only a draw against their Samoan rivals Kiwi FC in order two finish in the top two, but coach Lui Muavesi insists his side will be playing for victory. “Tomorrow’s game will be the most important game for us in this competition here in the Cook Islands and we will play hard because a win will be good for Tonga football. “It’s a do -or-die match and we have to play hard so we will play until the end of the final whistle,” he added. 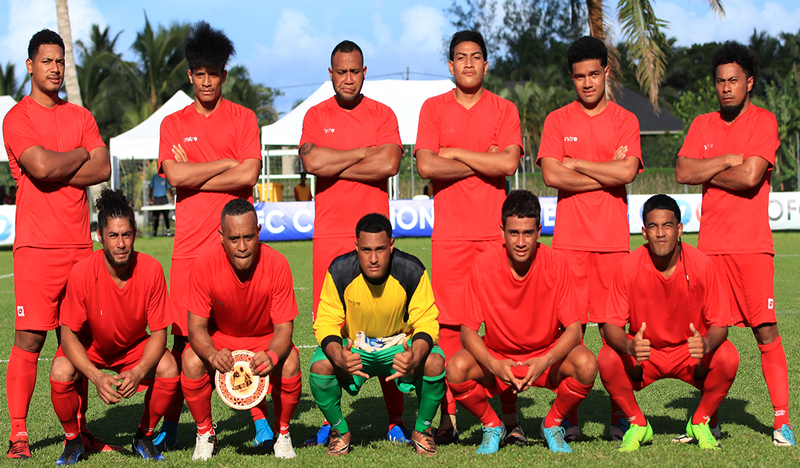 Hosts Tupapa Maraerenga had been the most dominant team in the tournament so far and they will go into their final match against Pago Youth as hot favourites. “I think it’s very important to finish the tournament in a strong way and I’m confident we can come out and have a good game tomorrow. “We already know we are out of the competition but that doesn’t stop us to play for the love of the game, we will not going to give up in our last game,” said Tapui.